Click below to download a pdf copy of the current Recreation Times newsletter. You may also access the Recreation Times from the “Forms & Documents” tab on the home page in the green ribbon. 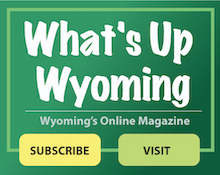 The Recreation Times will continue to be mailed to all residents quarterly inside the Word on Wyoming newsletter.